The Four Points Foodie: Cooking Workshop and Tasting this Sunday! 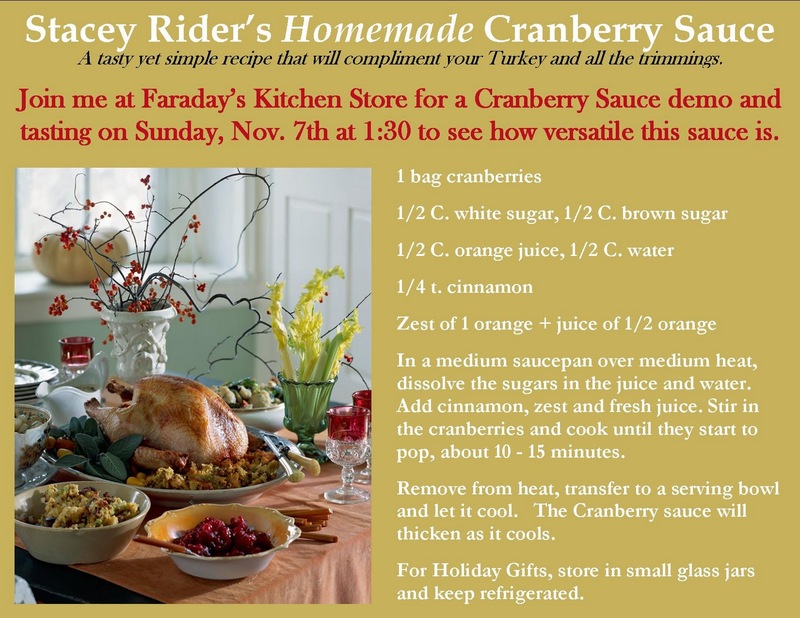 Celebrate the Holidays, Autumn, and the cooler weather with CRANBERRIES! 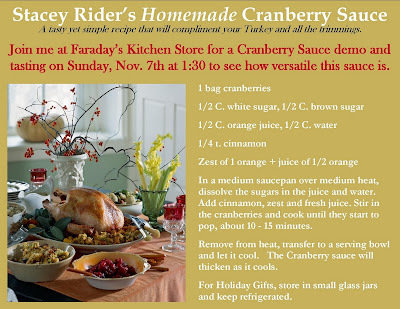 This versatile condiment accentuates not only that Holiday Turkey, but Roast Chicken, Pork or cheese. It's the perfect addition to any sandwich, appetizer or snack. My motto is say no to the can. Not only will you come away amazed at this tangy taste, but you'll say NO to the CAN and take home a little jar for your very own.